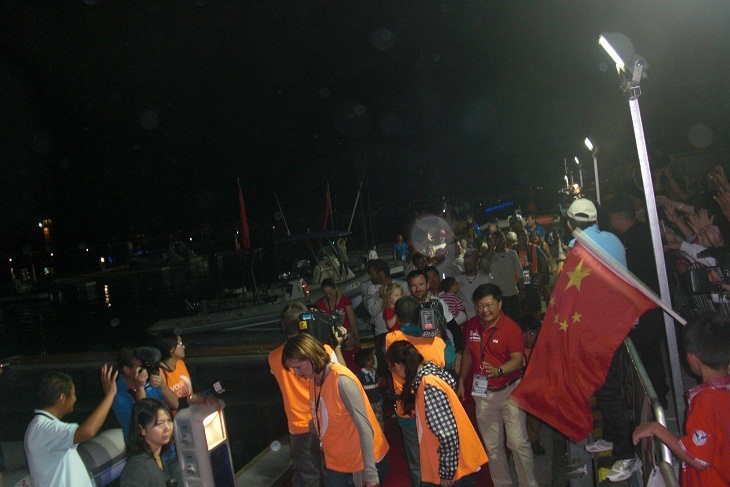 On Sunday night, February 5th, thousands of spectators waited anxiously for the arrival of Team Sanya at the newly constructed port. With all the preparations made over the last year, the venue was in top shape. The new marina exhibited state-of-the-art facilities, including a 7 story modern maritime facility. Everything was lit up and the place was full of excitement. At about 8:30 p.m the green light of the mast could be seen in the distance. When the announcement was given over the loudspeaker of their imminent arrival, the crowd went wild. 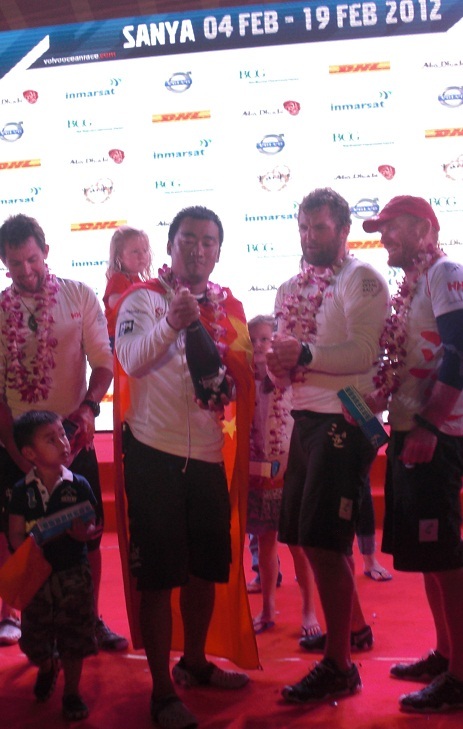 The eleven team members are carrying the pride of Sanya and China. The spectators were waving flags, cheering, and showing all the signs of pure elation. During a short wait for the crew to clear passport control and a customs check, the real passion of the moment ensued. Here is when the emotion of the sport was really on show. Standing on the docks were all the families of the crew. Wives, children, grandparents and more were all eagerly waiting for the safe rejoining of loved ones. 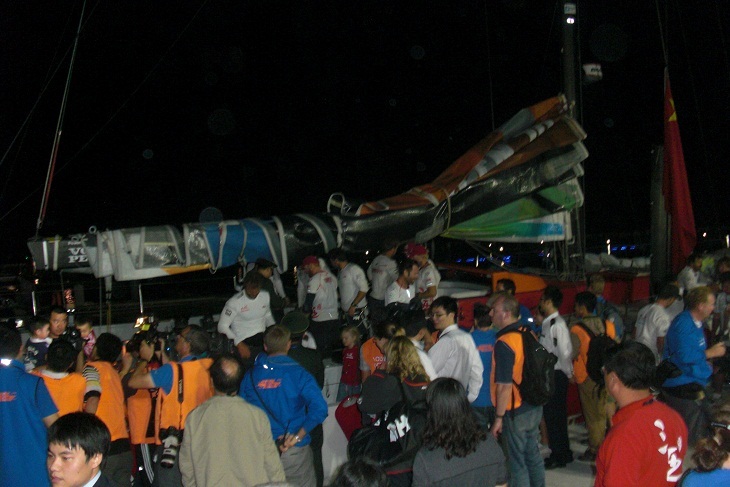 Also on the docks were the welcoming committee and shore support for the guys. 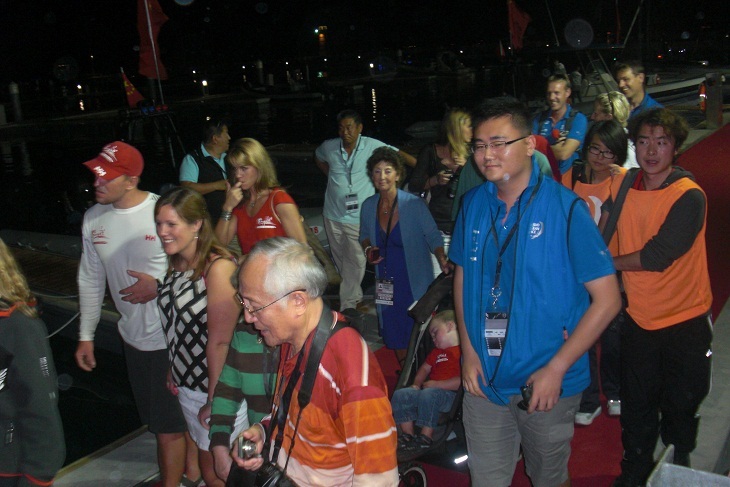 It was a media frenzy with TV crews interviewing sailing crew, photographers snapping pictures of the ship, and the heart felt display of emotion by rekindled family members. 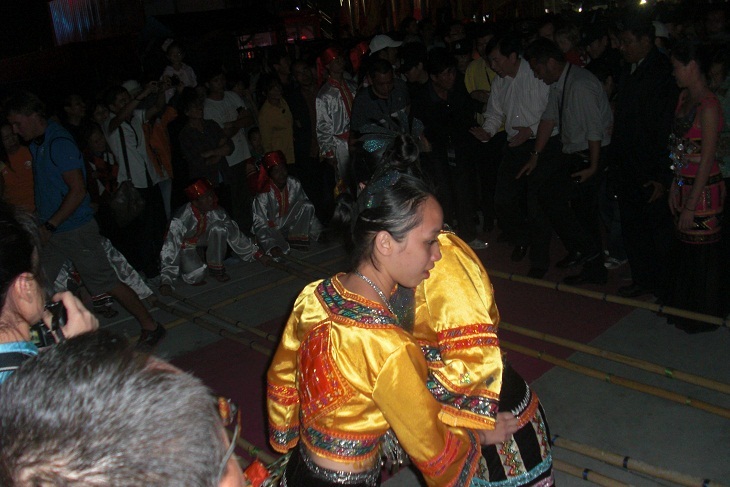 As the crew disembarked, they were led down the pier and through a real Chinese-style welcoming. 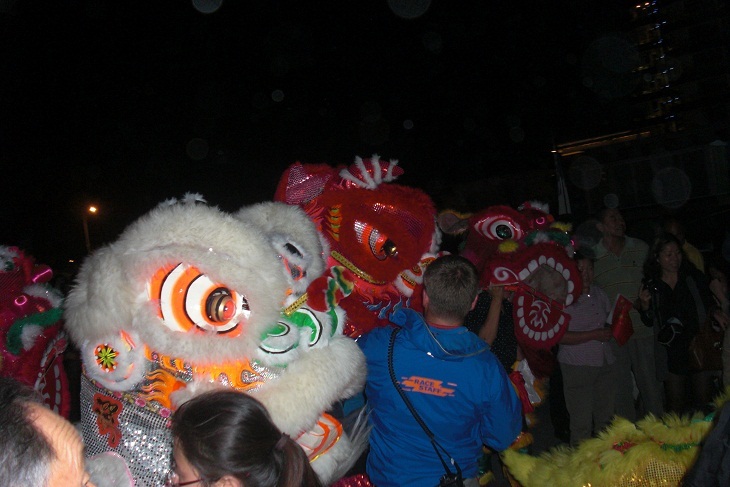 Complete with drums, dancers, music, and lots of cheering, they all made their way to the main stage. 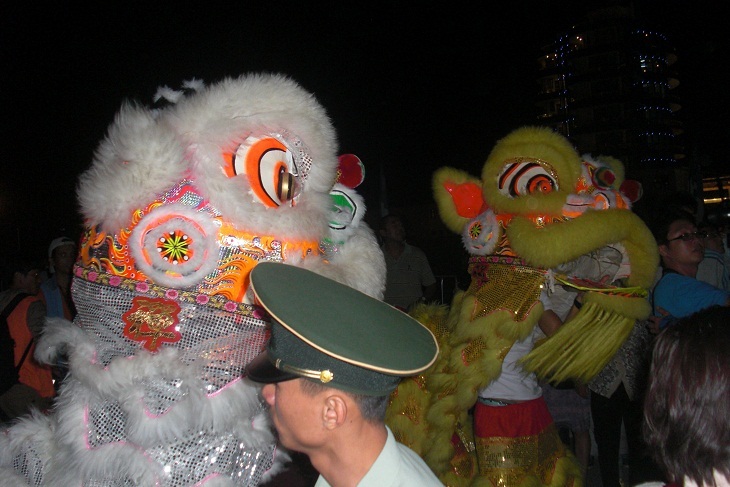 Leading the way was the “hometown” boy, Teng Jiang He or Tiger. While the music was playing and fans continuing to cheer, Teng Jiang He took the stage and thanked his fans, supporters, and team with a champagne shower. Then it was time for the skipper to make his remarks. In true leadership form, Mike Sanderson praised his team and support staff for their ongoing hard work and renewed thanks to the fans before them. 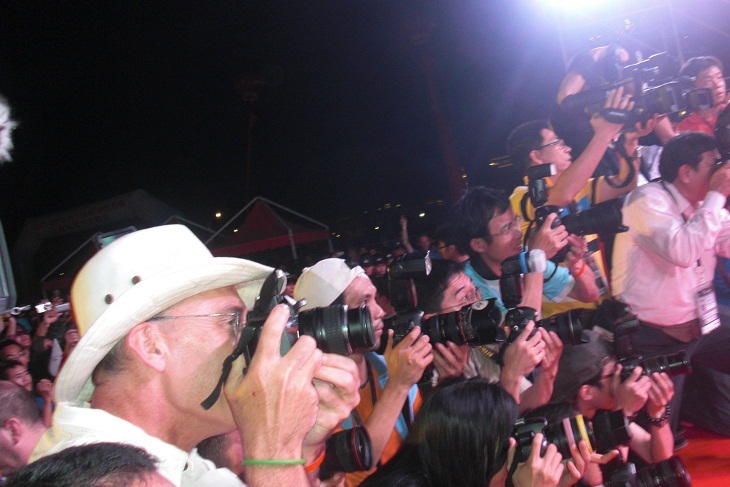 This was a homecoming of joy for the 2011/2012 Volvo Ocean Sailing Race Sanya Team. Though some of the conditions during the race could have worked out better for the team, the pride and joy brought by the group of 11 sailing elites to the people embracing this new sport was second to none. 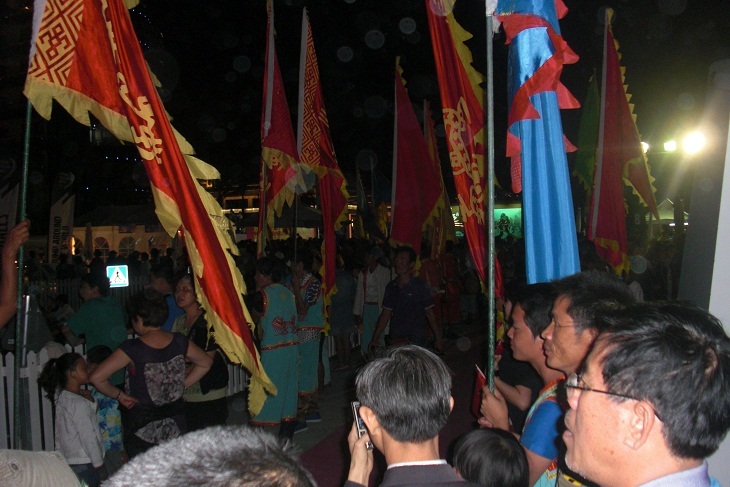 As this is the first year for Sanya to be a stopover for this international event, the stories of triumph and emotion are sure to be at their beginning point. 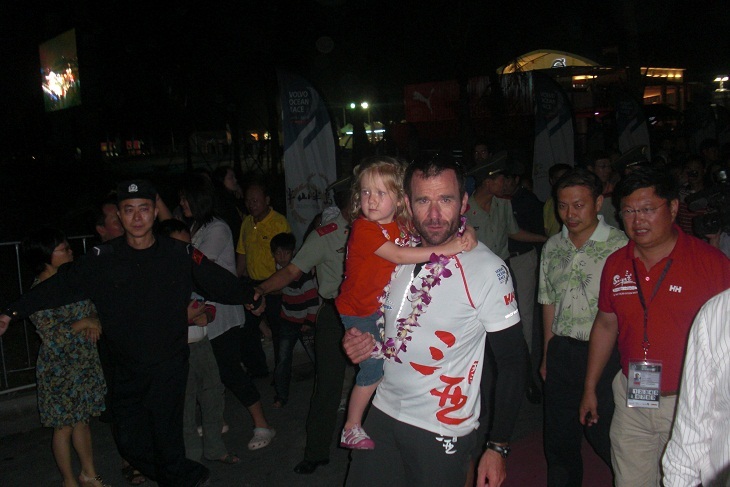 The next leg of the race leaving Sanya begins on February 18th. 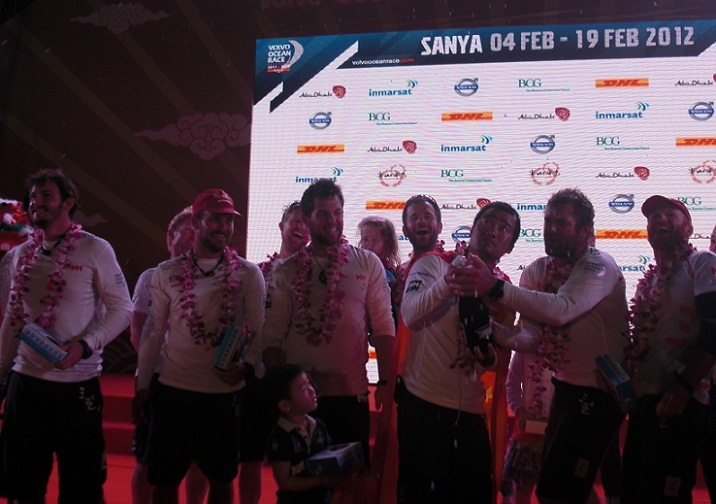 Good luck Team Sanya!